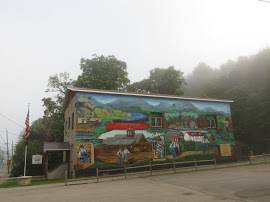 Warrensburgh Museum of Local History - In 1974, in anticipation of the coming National Bicentennial Celebration, a local resident and member of the Warrensburgh Historical Society, Isabelle Cornell, proposed starting a local history museum. Supervisor Charles Hastings, on behalf of the Town secured a permanent space in the Odd Fellows Hall and provided the rent and utilities. The call went out to townspeople and numerous artifacts and photographs were given or loaned for the purpose. The Historical Society would operate the museum, which opened in July, 1975. Open during the summer, the museum, received many visitors, including an annual visit by the fourth grade, for the next 25 years. Financial and volunteer support dwindled however, and the Town decided to close the museum around 2001. 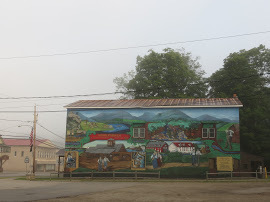 Following the resurgence of the Historical Society, however, the Town invited the Society to resume operation, providing for full renovation and expansion of the space and funds for its maintenance. 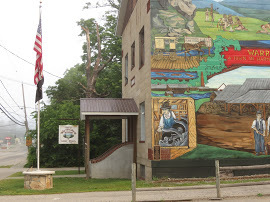 Members of the Warrensburgh Historical Society computerized the collection and created all new exhibits. The museum reopened in July 2009, wholly staffed by volunteers. 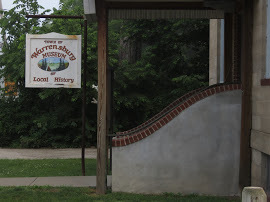 In addition to providing a chronological survey of Warrensburg’s history, special exhibits and programs have been created, including a Factory Workers Reunion, 50 Years of High School Sports: 1942-1992, Stock Car Racing at Ashland Park, Quilts from the Museum Collection, Hunting and Fishing With the Bear Waller Club, and Agriculture - the Past 200 Years. Exhibits entitled "My Dolly" and "Our Toys" have provided special Holiday entertainment.